Hart-Variations is created by Katie, a Portland, Oregon native. 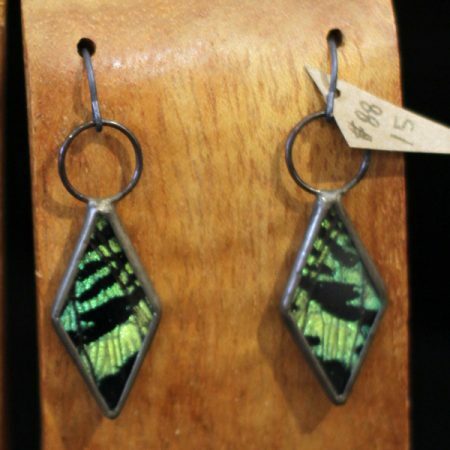 She is inspired by the year-round color of the Bay Area and has enjoyed the process of allowing this muse to inform her distinct style of jewelry. 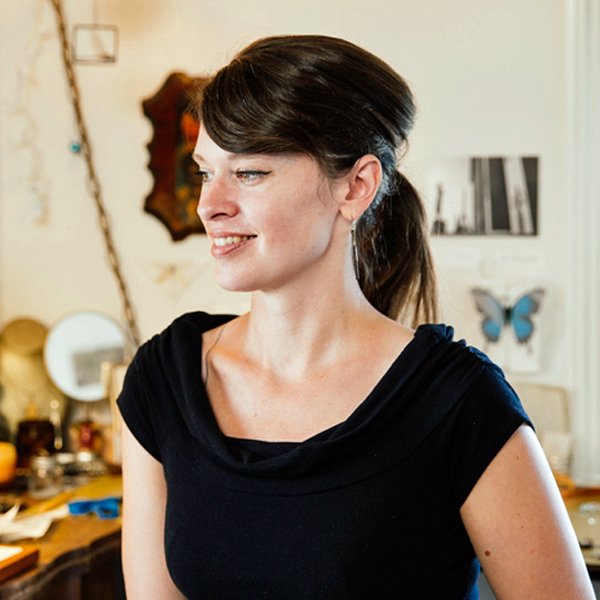 She creates tangible representations of the beautiful and the visceral that are both regional and universal. Feathers, bones, snakeskin, insects and other objects are chosen for their textures, shape, and colors as much as for the roles they play in the natural world. 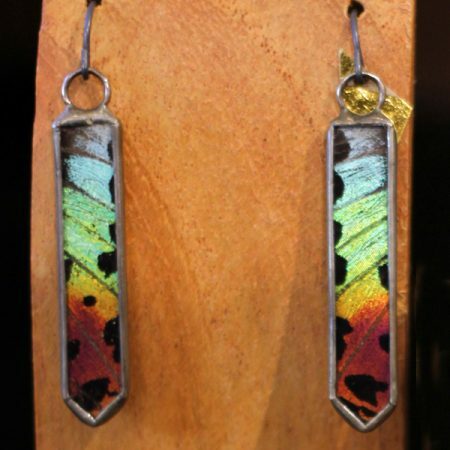 Using glass and metal, Katie creates unique reliquary jewelry that provides a wearable snapshot of the vitality and endurance of these natural elements. Q: Can my jewelry get wet? How do I care for my one-of-a-kind piece? A: Most people wear their Hart-Variations jewelry every day. While our pieces are made to last for many years, they do contain delicate materials that can be damaged by water. We recommend removing your jewelry before you shower and wash your hands. Q: What kind of metal do you use? A: I use the Tiffany Method of stained glass soldering. The metal is a lead-free, nickel-free blend of silver and tin that melts at a lower temperature, allowing me to encase natural objects that are sensitive to heat. All of the earring findings, ring, and bracelet metal is oxidized sterling silver. The chain and findings are nickel-free.